professionals that are needed immediately! EmployeePro bridges the gap between employee start dates and routine employee orientation! 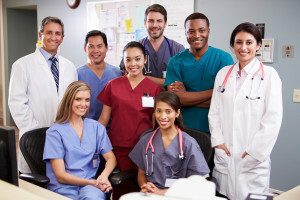 Partner facilities with TCPS may use EmployeePro as a component of their rapid employee orientation program to provide required general content related to healthcare and specific facility information. Using our OrientPro platform, regulatory required information is presented and also facility specific content that is critical to employee and patient safety. Completion of the content is documented via an online quiz with results reporting directly to the facility. Business Model: Fee structure is an annual license fee plus a sliding scale user fee. A one-time portal development fee is charged to create a branded web portal for facility use. Contact the TCPS Team and schedule a demonstration of TCPS EmployeePro!